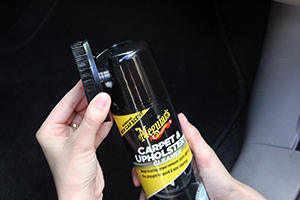 Meguiar’s Carpet & Upholstery Cleaner is a deep cleaning and odor re-freshing carpet and upholstery cleaner that dries without leaving an unpleasant residue and a fresh, New Car Scent. 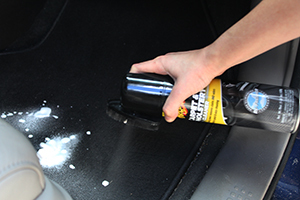 Whether you’re looking to clean one stain or freshen up the entire vehicle, Meguiar’s Carpet & Upholstery Cleaner makes the task easy. 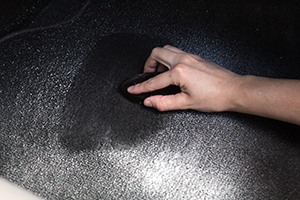 Meguiar’s Carpet & Upholstery Cleaner is formulated with active foam that penetrates deep into fibers to remove stains from the bottom-up and restores to a like-new condition. Stains will be an issue of the past when you use Meguiar’s Carpet & Upholstery Cleaner. For pro-strength without a lot of elbow grease, Meguiar’s Carpet & Upholstery Cleaner will leave you impressed with the ease of clean and the true results. It's as easy as spraying on, scrubbing off, and patting dry. Directions for use: To use, spray evenly onto area that you wish to clean. Allow the foam to soak in for 15-30 seconds. 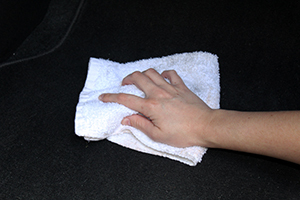 Agitate the area with the attached brush or towel and then blot with a clean towel leaving the area to air dry.